Established by Head of School Dr. Gerald L. Boarman as a task force in fall 2010 to analyze and address issues of diversity on the Bullis campus, this group is now a permanent committee spearheading a number of initiatives and ongoing activities. At Bullis, equity, inclusion, and justice (EIJ) are part of the daily conversation. The work is fundamental to the curriculum. Our EIJ Co-Chairs collaborated with BITlab Director Matt Zigler to present at the NAIS People of Color Conference. 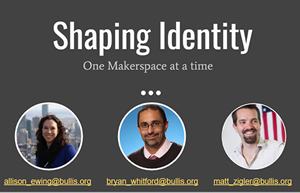 Their presentation, Shaping Identity One Makerspace at A Time shared Bullis' work creating multidisciplinary project-based learning centering around identity. is in the humanities classroom. The 2018-2019 EIJ school year began as we welcomed Crissy Cáceres to opening meetings with faculty and staff. She composed an inspiring poem about the diversity and richness of the Bullis staff and community. And she brought such energy and hope to the conversation and the school year. That followed this fall with the announcement of a PA Grant for: DiscoverMe/RecoverME, which will involve workshops with classes and other groups in spring 2019. 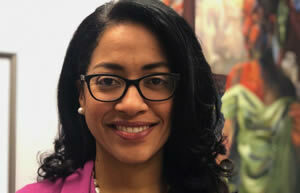 Significant professional development opportunities for task force members including through the Equity Collaborative at Georgetown Day School, the annual People of Color Conference and AIMS diversity training. Membership in EastEd, a local collaborative of diversity practitioners at area independent schools. All-school events, including Think B4U Speak Campaign, Freedom Rider/Activist Speaker Joan Trumpauer Mulholland, Day of Silence and screening of the documentary “An Ordinary Hero” and panel discussion with Freedom Riders Joan Trumpauer Mulholland, Dion Diamond and Rev. Reggie Green. Spearhead assemblies and activities for MLK Jr. Day, Women's History Month, Hispanic Heritage Month, and other special occasions. Guide curricular response to issues of equity, inclusion, and justice that emerge in current events.